New ad hopes to get more Americans thinking about retirement saving. 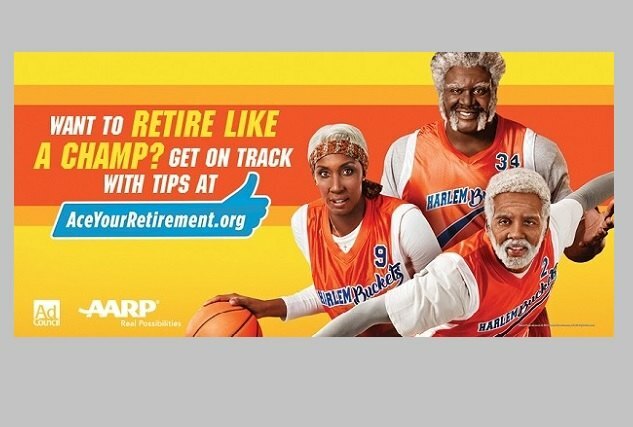 AARP, the Ad Council and Lionsgate have teamed up on the retirement-focused spot, which features Kyrie Irving, Shaquille O’Neal and characters and footage from the movie Uncle Drew, from Lionsgate’s Summit Entertainment label. With two out of five households headed by Americans aged 55–64 having no assets—that’s zero, zip, nada—saved for retirement, a new public service announcement aims to change that.